Charts Descendant Chart for John WOOD Sr.
David Buchanan was born in 1836 at Edgar, Illinois, USA. He lived with Sarah Wood in 1850 at Edgar, Illinois, USA. William Buchanan was born in 1836 at Edgar, Illinois, USA. Florella Catherine Wood was born on 26 March 1840. She married James O Daughers on 5 January 1860. Florella Catherine Wood died in 1915. As of 5 January 1860,her married name was Daughers. James O Daughers was born in 1836. He married Florella Catherine Wood, daughter of John H Wood and Mary Barkley, on 5 January 1860. Joseph Harvey Wood was born on 2 September 1842. He died on 30 March 1914 at age 71. Louisa Wood was born on 4 April 1828 at Rush, Indiana, USA. She married Israel D Webb in 1850 at Rush, Indiana, USA. Louisa Wood died on 10 March 1917 at Jasper, Barton, Missouri, USA, at age 88. She was buried after 10 March 1917 at Moorehead Cemetery, Bushnell, Barton, Missouri, USA. As of 1850,her married name was Webb. Mrs. Louisa Webb, mother of Bert and Omer Webb, died at the home of Bert Webb last Saturday afternoon about 4:15, after an illness of several weeks. Little hope had been felt for Mrs. Webb's recovery at any time on account of her age and enfeebled condition, and when the end came it was as if she had fallen asleep. After the death of her husband some years ago in Barton County, Mrs. Webb went to California and lived with her daughter, Mrs. Emma Avery of Porterfield, where she remained about 10 years, coming here a year ago last November to make her home with her sons. Besides her sons and daughter above named she left a large number of old friends in Barton County and among the older residents of Jasper, who will hear of her death with sorrow. Services were held at the Webb home here Monday morning at 10:30 by Rev. J. W. Moore, in the presence of a large number of friends and relatives of the family. The remains were then taken to Moorehead Chapel, 7 miles east of Lamar, near the old Webb home, and again a short service was held which was largely attended by Mrs. Webb's former neighbors. Interment was made in Moorehead Cemetery and the body laid to rest by the side of that of her husband and other members of her family. Favorite hymns of Mother Webb were sung by Mrs. A. F. Drake, Miss Grace Teeter, H. J. Deardorff, L. T. McCune and Roy Bowers, Mrs. J. P. Leiss presiding at the piano. The pallbearers were W. H. Ward, A. M. Crandall, C. E. Davis, John A. Ward, T. B. Hardaway and L. T. McCune. Omer Webb, the younger son of deceased, was not able to attend his mother's funeral because of the smallpox in his home, and Mrs. Avery was also unable to be here from California. Mr. and Mrs. G. W. Stapleton and Mr. and Mrs. Walter Stapleton of Seligman and Rue Webb from Sapulpa, Okla., were here. OBITUARY Louisa Wood was born in Rush County, Ind., April 4, 1828, and died at Jasper, March 10, 1917, aged 88 years, 11 months and 6 days. 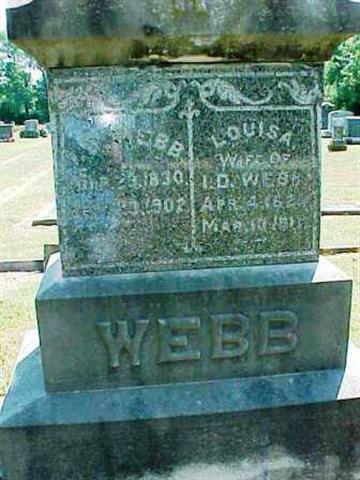 She was married to Israel D. Webb in Rush County, Ind., in 1850. To this union were born 7 children, 4 of whom and the father preceded the mother in death. The three living are Mrs. Emma Avery of Porterfield, Cal., and Bert and Omer Webb of Jasper. The family moved to Barton County, Mo., in 1870 and since that time have held continued residence in this part of state. Mother Webb was converted at the age of 21 and in her twenty-second year united with the M. E. Church. At the time of her death her membership was in the M. E. Church in Jasper. published after 10 March 1917 at The Jasper News, Jasper, Jasper, Missouri, USA. Elizabeth Wood was born in 1831 at Indiana, USA. Elmira Wood was born in 1833 at Indiana, USA. Israel D Webb was born on 23 March 1830 at Rush, Indiana, USA. He married Louisa Wood, daughter of George Wood and Sarah Fee, in 1850 at Rush, Indiana, USA. Israel D Webb died on 23 September 1902 at Jasper, Barton, Missouri, USA, at age 72. He was buried after 25 September 1902 at Moorehead Cemetery, Bushnell, Barton, Missouri, USA. At 8 O'clock Mr. I. D. Webb died at the home of his son Chas. Webb, eight miles east of Lamar Tuesday morning at 8 o'clock, aged 72 years and 6 months. The funeral was held yesterday after- noon at 2 o'clock at Moorehead Chapel near where he died, and the remains were laid to rest in the family lot in the church yard. The services were con- ducted by Rev. Cosper of Lamar. The deceased was the father of Messrs. Bert and Omer Webb, prominent business men of Jasper, and has made his home in this city since last spring when he moved here from Lamar. Besides Bert and Omer he leaves a wife, another son, Chas. Webb, who lives east of Lamar and a daughter, Mrs. Emma Avery, of Porterville, California, to mourn his loss. 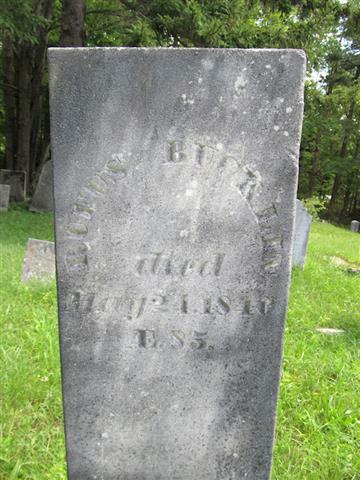 A daughter, Mrs. Lizzie Stapleton preceeded him to the better land about nine years ago. Mr. Webb left Jasper for a visit with his son Chas. on the 16th and was taken ill with severe cramps shortly after he got there. Although everything possible was done he gradually grew weaker until the end came. He suffered a great deal for several days but was free from pain toward the last of his illness. The children were all present except Mrs. Avery when he breathed his last. Mr. I. D. Webb was born in Rush county, Indiana, March 23, 1830. He came to Barton county in 1870 and settled on a farm about 8 miles east of Lamar, where he resided until six years ago when he sold his farm and moved to Lamar. Last spring he disposed of his Lamar property and moved to Jasper on account of his sons living there. He was converted during a sweeping revival in his neighborhood, which resulted in the building as Morehead Chapel in the early seventies, Mr. Webb being one of the first members of the new organization. He has lived a consistent Christian since that time and although loth to leave his loved ones, was ready to go when the summons came. On Monday when it was realized that he could not get well he was told of that fact. His answer was "I would be glad to live longer, but I am ready to go." He was conscious to the last and the end came as a peaceful sleep. To sum up his life in a few words it can be said that he was a good man in every respect. The relatives have the sympathy of the whole community in their sad bereavement. published after 25 September 1902 at The Jasper News, Jasper, Jasper, Missouri, USA. George Barkley was born at Maryland, USA. 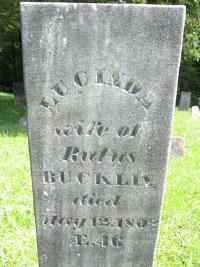 He married Mary unknown in 1790 at Pennsylvania, USA.1 George Barkley died on 21 April 1827 at Clermont, Ohio, USA. [S695] 12 Nov 1850 Federal Census, unknown repository address. Elizabeth Barkley was born in 1808 at Pennsylvania, USA. As of 1790,her married name was Mary Barkley.1 Mary Barkley was a witness (an unknown value) with Joseph Barkley in 1850 at Washington Township, Clermont, Ohio, USA. [S698] Unknown editor, PIONEERS OF EDGAR AND VERMILION COUNTIES, ILLINOIS. [S714] 13 Apr 1940 Federal Census, unknown repository address. William A Poe was born circa 1824 at Kentucky, USA. He married Abigail Day, daughter of Joseph Bennett Day and Francis Deborah Lambert, before 1846. 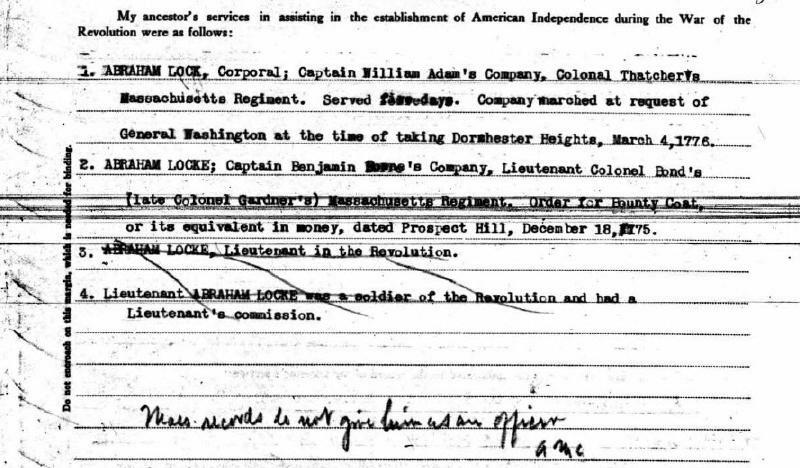 He He was a Corporal, from Massachusetts. He lived in St. Georges (Warren), Maine; Cambridge, Mass; Lynn, Mass; Mason, N.H., Chester, VT; Rockingham, VT; and, Danby, VT. See, William Richard Cutter, Genealogy and Family History of Northern New York, Lewis Historical Publishers, 3 vol, 1910. [S720] SAR Application By Edwin A Locke J. 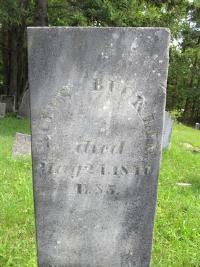 [S722] Janet Muff - Find-a-Grave, Find-a-Grave - Bucklin, Rufus 1840. 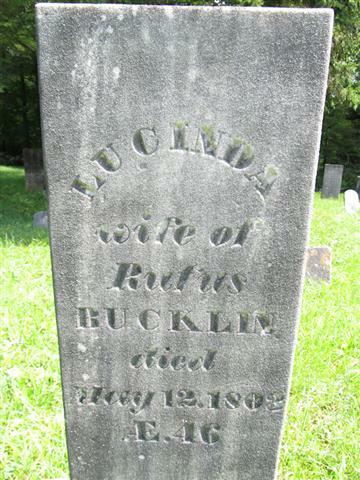 Son of Rufus Bucklin, Sr., and Lucinda Barrows. Husband of Harriet Barrows, with whom he had 8 known children: Alonzo, Albert, Granville, Charles H, Silas, Lewis R, Harriet, and George Bucklin.